Digitalkamera.de got their hands on the Fuji X PRO 1 and X lenses. That’s a “Labortest” made with DxO Analyzer. Fuji X PRO 1 Bericht (Click here to read the google translation). You have to pay to read the full Labortest but I give you a short summary: The Dynamic range is good up to 6.400 ISO and decreases gradually. Particularly the resolution results are impressive (so they say). Up to 1.600 ISO there is no loss at all! The best lens is the 60mm macro! In short, as stated by other reviewers before the X PRO 1 resolution and dynamic range doesn’t increse at all up to 1.600 ISO (and that’s amazing result for an APS-C sensor!). The 60mm macro is very likely the best of all three X lenses. The only not so perfect lens is the 18mm f/2.0. Surprised? Fuji X PRO 1 body is in Stock at Amazon (Click here), Adorama (Click here), BHphoto (Click here), Jessops UK (Click here) and Digitalrev (Click here). 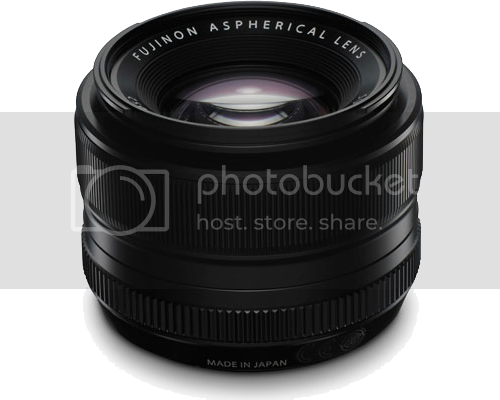 Fuji X 18mm f/2.0 in Stock at Amazon (Click here) and Digitalrev (Click here). Fuji X 35mm f/1.4 in Stock at Amazon (Click here), Adorama (Click here), BHphoto (Click here) and Digitalrev (Click here). Fuji X 60mm macro f/2.0 in not Stock at Amazon (3-4weeks) but is in Stock at Digitalrev (Click here). X PRO 1 test at Photoscala (Click here for the translation). New set of pictures by Brandon Remler (Click here). Field Session with the Fujifilm X-Pro1 at Outbackphoto (Click here). Another review at Uniquephoto (Click here) and at RonMartBlog (Click here). A first hands-on by SonyAlphaLab (Click here). Fuji 35mm X lens as sharp (or even sharper) than the super expensive Leica 35mm lens! Ken Rockwell (Click here) is currently testing the Fuji 35mm f/1.4 X lens. His test isn’t finished yet but he already writes: “This is as sharp, maybe sharper than the equivalent LEICA 50mm f/1.4 ASPH, and has the same superb bokeh, focuses faster and closer and has the same near zero distortion. Not bad for $600!” Yep, the Leica Summilux costs $5,000 on eBay (Click here)!!! Exciting! Ken also writes that he would loved to see a Full Frame sensor instead of the APS-C. But I guess this would have made the camera terrible expensive. Anyway, maybe Fuji will launch a second FF camera at Photokina? Would put a huge pressure on Leica! Fuji X PRO 1 body is in Stock at Amazon (Click here), Adorama (Click here), Jessops UK (Click here) and Digitalrev (Click here). When checking focus point by pushing AE-L/AF-L button in MF mode, following phenomena can be observed in relation to focus area settings. These phenomena are improved. 1.When the focus area is set to bottom right end position, the camera may hang up. 2.Even when the focus area is set to other area than above, focus may be hard to be established. DC.watch (Click here) tested the X PRO 1. First image samples from Mike Kobal (Click here). Stuck in Dulles with my Fujifilm X-Pro1 by Brandon Remler (Click here). New Fuji X PRO 1 roundup (with Sony and Panasonic comparison).